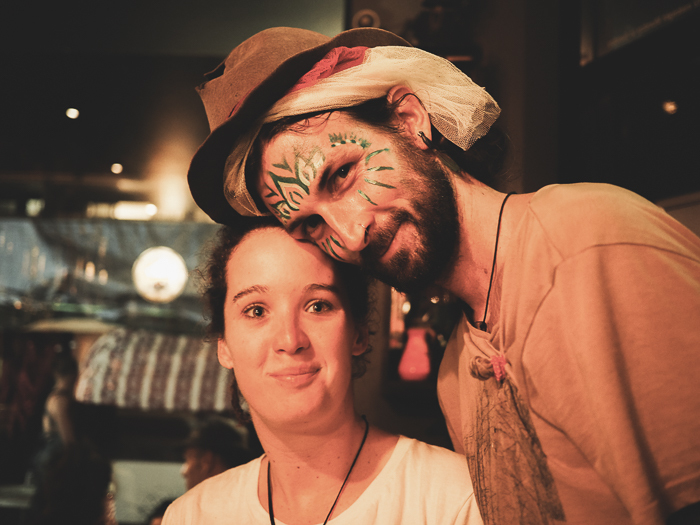 Photo diary of a night spent with the good folk of The End bar—a local favourite in one of Brisbane's most eclectic neighbourhoods. This venue was born out of the ashes of Trash Video—a cult movie rental store (the last one in the city) and haven of all things cinematically obscure. An homage to these iconic roots can be found as you enter inside, among the hanging plants and light bulbs there is a large poster of some of these titles in their old school VHS format. Highlights of the night included the long table of art supplies for us to try our hand at continuous line drawings (best way to make new friends), pints of The End's very own Rainbow Brew on tap, and for those with more class and a bit more cash—epic cocktails to make your mouth water...Oh and how could I forget the gypsy caravan parked outside with rotating artists serenading us to their sweet sounds. Ps. "Our ongoing commitment is to make good beer and do good things. 50% of profits from the Rainbow Beer we sell will go directly towards supporting initiatives run by Australian Marriage Equality. "